Recently I was contacted by a few teachers with questions about Lucy Calkins and who are just starting out. These emails reflected my own thoughts and feelings just a few years ago when I began using Lucy so I thought I would post one of my responses. Enjoy! Writing is a “craft” made up of many different components. My team (and school) is of the mind that Composing is the most important component of writing. Mechanics and Grammar are also important, but Composing is about content and the idea of “story.” Students might have correct grammar and mechanics, but without Composing, the content of their writing is often meaningless. LC teaches students to love and feel writing to their core. My students would rather do writing workshop than go to recess most of the time. And all my classes have been this way ever since I started using LC. LC is about having children write about their own lives. This gives power and meaning to their stories that cannot possibly be achieved through prompt writing. Every child has something to write about because we teach them that what they do each day is important and deserves to be written down. In the upper grades, the students have to do prompt writing on state tests, so the teachers have the kids write a prompt that would fit their story after they finish writing it. LC is meant to be taught in order, but you can make variations to fit your curriculum/grade level. Also, each book is only meant to be taught for one month. At the end of the month, you should have a writing celebration and move on to the next book whether you finished all the lessons or not. We start the year with an Illustration Unit roughly based on Katie Wood Ray’s work, in combination with the Launching Writing Workshop book. The Illustration unit was written by a group of teachers at our school and is used by all classes K-2. Then we move on to Small Moments, which I think is where the kids really start to take ownership over the process. Book 3, Writing for Readers is a little too primary for us so we skip that book and go straight to Revision. This is where we supplement with mechanics and grammar. Then comes my all-time favorite Authors as Mentors J! Because we skip book 2, we do two months of Authors as Mentors. (This is an exception to the one month rule because this usually falls in the months where we have a lot of days out of school). This is another good place to fit in some mechanics lessons. I do a month of Ezra Jack Keats and then a month of Angela Johnson, but not all of us do it that way. Many teachers use more than just these two authors during this book. After Authors as Mentors, we take a break from Lucy and teach a Fairy Tales/Letter Writing Unit (which was also written by teachers at our school) to meet state and county objectives. Then we do the rest of the books pretty much as is. Writing Celebrations are very important. They can be simple or elaborate, but kids need to celebrate what they have accomplished regularly. I often invite another class and any adults without classes at the time to come and listen to our stories. Once we had a “Slumber Party” writing celebration where the kids wore their PJs, we used old sheets to make tents out of the desks, and the kids read their stories to one another using flashlights. That was a lot of fun. Most of our celebrations are much more simple. 5th Graders came to listen to our published stories. Reading to other second graders. This little one nearly brought me to tears when she said, "writing makes me feel important Ms. Moler." Conferring can be the scariest part of Writing Workshop for teachers but it is very powerful. I make a conferring schedule, with each kid having a day that they know I will confer with them. That makes it more manageable for me to get to everyone. After I have conferred with my 4 or 5 students scheduled for the day, I usually check-in with my lowest writers. There are some kids I confer with almost everyday, but most do fine with weekly check-ins. My conferring schedule also doubles as my sharing schedule. The kids I confer with are the ones who get to share their writing at the end of the lesson. That way I know I have worked on the stories that will be shared and can use it as a teaching point if needed. There is a great video out there of Lucy Caulkins talking to students about how to treat their writing. I show it to my kids every year and sometimes more than once. Lucy tells the kids that they can find stories anywhere, and that they should treat their writing like it is gold. I definitely recommend showing this video to your team teachers as well as to your kids. LC is really big on choice. Students should choose which paper they want to use, what to write about, etc. I let my kids sit wherever they want with the understanding that I will choose for them if they choose poorly. Some teachers allow the kids to sit around the room but assign places so the students always go to the same writing spot. That really is up to you. I find that the kids are a lot more spaced out when they sit around the room rather than just at their seats, so there actually is a lot less talk than when they are all at their desks at the same time. Speaking of paper, one adaptation we do is that we don’t use the LC paper. We give the students 5 page blank books from the get-go. That way they know that they are writing “books” and that everything in one book should be related to the main idea of their story. This also helps with kids who want to write stories that have no end (I call them “and then” stories). We give them blank paper without lines, and let them choose where on the page to place their writing and illustrations. There are lessons about this in our Illustration Unit, but I think LC has a lesson about this somewhere too. Again, this requires giving up a lot of control and I am not saying you have to give your kids paper without lines. There is a lot of research out there to suggest that it is better though… Whether you use lines or not, I absolutely recommend giving kids stapled booklets from the start rather than just loose paper. Work as a team! Our school has professional development for writing through a PLC format (we call it EPIC). When we first started out, we had full day EPIC once a month with teachers from our school and a partnering school. Then last year we switched to half-day EPIC monthly, and now we have one half-day PD each quarter. If your school isn’t doing any professional development for you it will be more difficult, but definitely use each other as a team to problem solve. Overall, the best advice I can give is to give up some control and trust in this program. When your kids start to understand that they are Authors and take ownership, you will see them and their writing shine like never before! I have gotten the most hilarious, heart-breaking, creative, and meaningful stories out of my students as a result of this program. More than once a student has shared a story that made me cry tears of sadness and joy. And I laugh so hard I cry at least once a week from listening to my students’ stories. (Alot of tears in Ms. Moler's room and most of them are mine!) Writing was my least favorite thing to teach before Lucy came along and now it is my absolute favorite! I know I’ve missed some things but I’ve already gone on waaaay too long. I hope this has been helpful and not “preachy.” I encourage everyone to do what works best for them and is in the best interest of their kids. Writing is messy but it can be beautiful! I love this post. It's like you've been in my head. I've been posting a lot about writer's workshop, and we've said some of the same things. Thanks for sharing! 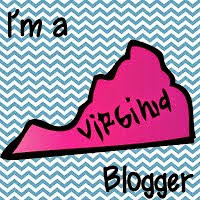 Hi Karen -- Love your flamingo -y blog very cute! I just found you and am your newest follower. I totally agree that it is so important to celebrate writing. I did an author's tea one year and had a Hollywood theme. The parents were invited to my room and everyone really enjoyed it. Come visit me sometime, I teach first. Karen, I have been thinking of you and laughing. Check my post today and you will see why. Trust me ... you will want to see my photos. P.S. I love your info on writer's workshop. Thank you! I love writing!! I wish more teachers did as much writing...then 4th grade teachers wouldn't have to work so hard, you know? I just found your blog...can't wait to get to know you! This post is wonderful! Thank you so much for sharing. BTW-We have a flamingo that visits our room named Flora who helps us with blends and our writing. Hi! Would you be willing to share the illustrating unit you have created? I wasn't on the team that created the illustration so I don't have a digital copy and I don't think I'm allowed to share it. I will do a post sometime soon just on illustration to give you a better idea of what it entails. this is a brilliant post, very inspiring and I especially appreciate the video. I am going to use this with my students next week. "Writing is messy but it can be beautiful!" I love this line. Thanks for sharing these tips! I'd love to try using this writing workshop format. I already do Daily 5 and writing centre with all the "open ended ness" is by far a favourite. Could you send me the exact titles of the LC books you use? You mention using them in order but whe. I go to LC sites here are many, many books. Also are the books your team put together available? Thanks so much for sharing your blog. I love it!! I was wondering how exactly you integrate the grammar into the workshop? I use mentor sentences to teach parts of speech, but was wondering if you have found a better way to integrate it into the unit. I would love to find a way for it to not be a separate experience. I use LC reading workshop as well and love both products.